This delightful property has been tastefully furnished, well equipped and enjoys unobstructed panoramic sea views. It offers a 20m small garden and a 50m² large sea view and green terrace. This delightful property has been tastefully furnished, well equipped and enjoys unobstructed panoramic sea views. It offers a 20m small garden and a 50m² large sea view and green terrace, all set within a large shared ground of more than 1300m², close to the hiking trails of the Estérel massif. Within the residence there is shared use of a swimming pool and tennis court. Théoule sur Mer is a charming, totally unspoilt resort with a pretty marina, shops and restaurants, a train station and small sandy beaches. There is no reason to leave this resort for the whole of your stay however consider taking the time to enjoy taking a stroll along the palm tree lined Boulevard de la Croisette in Cannes or along the equally impressive Promenade des Anglais in Nice. Spend a day in the immaculate principality of Monaco, or the perfume capital of Grasse. Take a drive along the stunning coastal road to Sainte Maxime stopping off for a beverage in the lovely resorts of Saint Raphael or Frejus, then hop on the short ferryboat ride to the jet setters paradise of Saint Tropez. Return in the evening for an al fresco meal enjoying those stunning views. This beautiful villa is made from brick or stone and was originally built in 1970 and refurbished in 2014. The agent has rated it as a four star property so it is a well-equipped villa with above average furnishings. It is also great value for money. 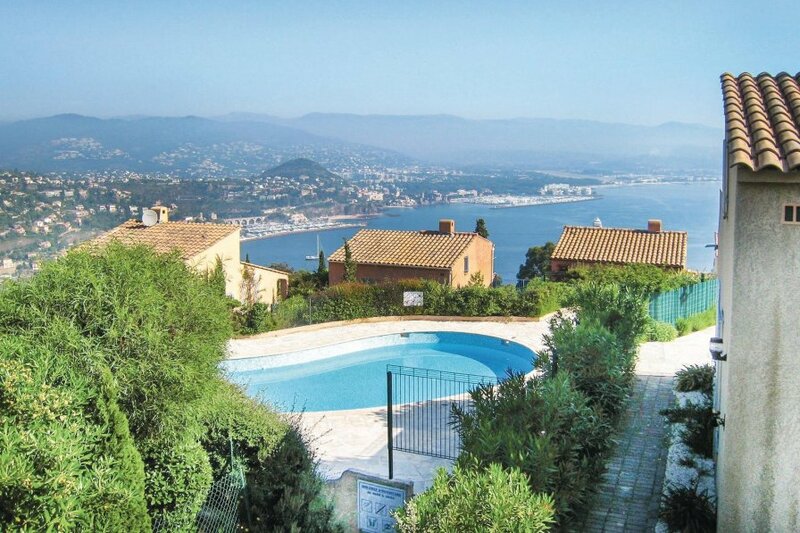 This villa has use of a shared pool and beautiful panoramic view over water; it is also located in Théoule-sur-Mer, only 2km from Théoule sur Mer. It is set in a convenient location, 2km away from a sandy beach. There's also a restaurant 2km away.